The big hurricane on a surface of Saturn, similar to a rose bud, captured the NASA Cassini spacecraft. Scales of the hurricane impress: its diameter makes 2 thousand km that in 20 times more, than the biggest hurricane on Earth. 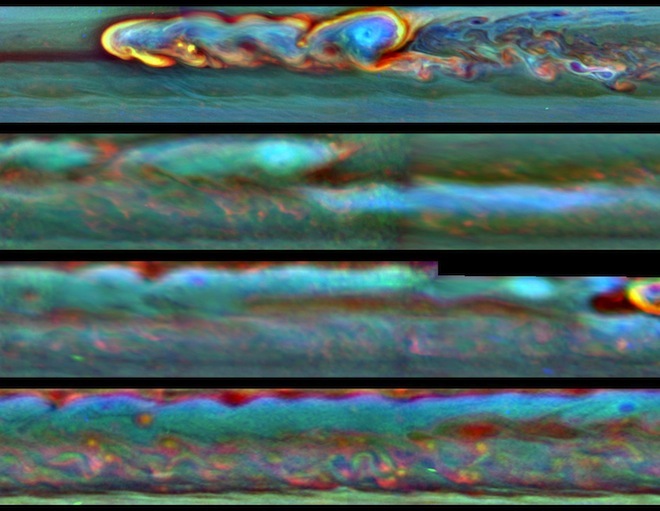 Cassini allowed researchers to make out for the first time a hurricane on Saturn in detail. Wind speed in the hurricane center as it became clear, reaches 150 m/second. Unlike terrestrial storm, which move on a planet, the hurricane on Saturn isn’t mobile and is on its North Pole. 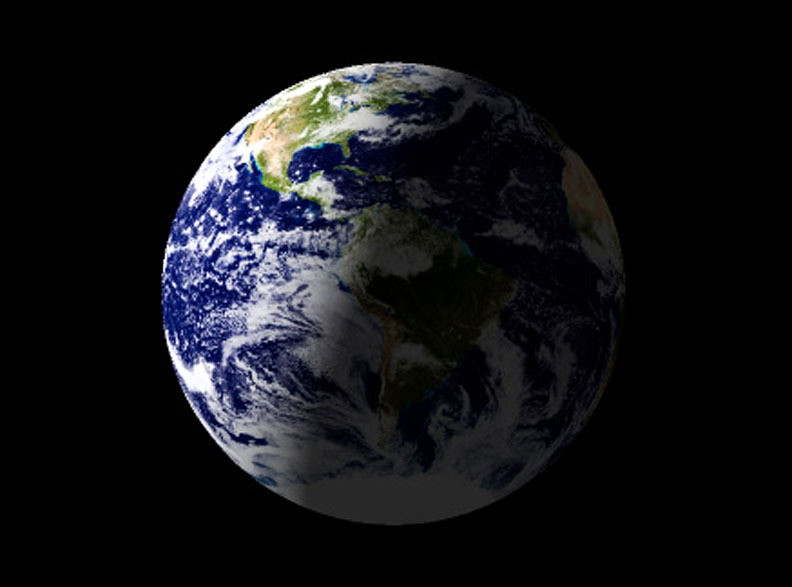 On Earth hurricanes, as a rule, drift to the north, because of the turbulences of a wind caused by movement of a planet. Rings of Saturn are continuously bombarded by rocks in space. 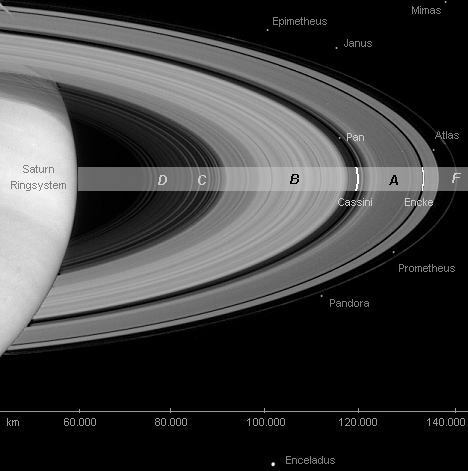 Cassini spacecraft being in an orbit of Saturn since 2004, helped scientists to observe a picture of bombing of Saturn rings fragments of space rocks. Collision of these fragments with rings of Saturn lifts big clubs of a space dust and leaves traces in the form of hyphens on rings. 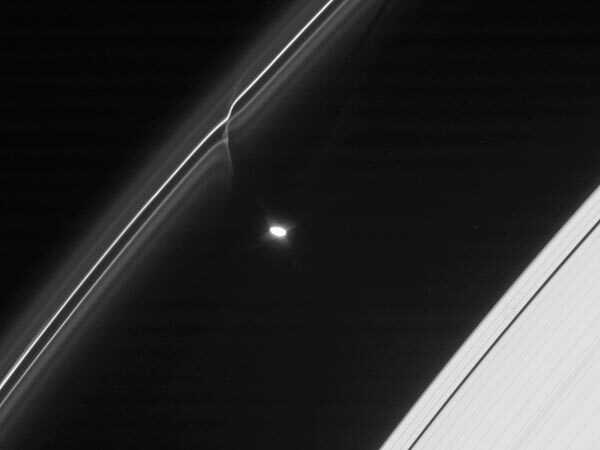 It is well visible on the example of the photo of 2004, when the Cassini chambers recorded collision of rocks with rings of Saturn. Orbit of Saturn around the Sun is equivalent to about 30 terrestrial years. 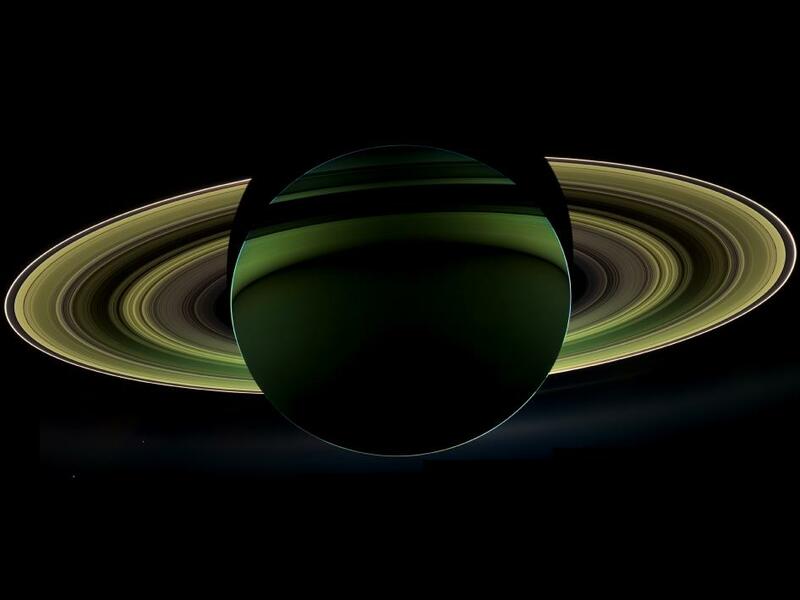 Approximately for the 15th year of this cycle, the night of Saturn becomes almost equal to day of Saturn. Just such period fell on 2009 that helped scientists to study in more detail better that happens to rings of Saturn. Last Saturday on March 9, the Cassini (Cassini is a NASAs’ robotic spacecraft sent to the Saturn planet) was most near to the Saturn moon Rhea , for the first time. During this close passing the Cassini did the image of the Rhea. The purpose of flyby was to observe the internal structure of the Rhea. This probe was done by measuring the gravitation pull of Rhea. The results of probe will help the scientists to find out if the Rhea, which has 950 mile wide, is homogeneous, or it is separated into core layers of mental. The distance of Cassini from the Saturn moon Rhea was 997 kilometers, and from this distance it was possible to capture the terrain of the Moon. The Rhea is the second largest moons of Saturn among the 62 moons. 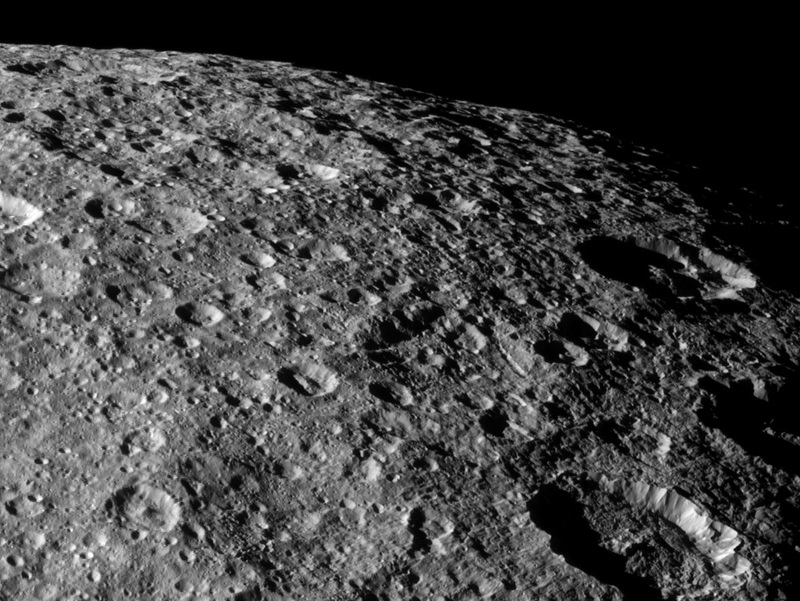 It has a surface with a lot of ice and craters. In the composing of Rhea is including rocks and water ice. The researchers also searched the dust flying off the moon, which will determine the micrometeorites’ impacts rate on the surface of the Rhea. NASA’s Cassini spacecraft made its closest approach to Saturn’s tiny moon Methone as part of a trajectory that will take it on a close flyby of another of Saturn’s moons, Titan. The Titan flyby will put the spacecraft in an orbit around Saturn that is inclined, or tilted, relative to the plane of the planet’s equator. The flyby of Methone took place on May 20 at a distance of about 1,200 miles (1,900 kilometers). 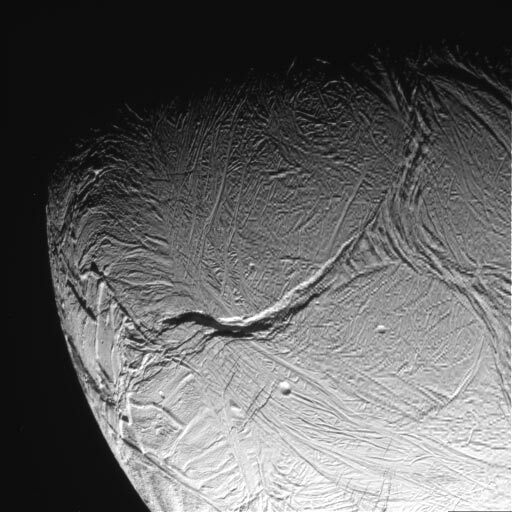 NASA’s Cassini spacecraft will be flying within about 46 miles (74 kilometers) of Saturn’s moon Enceladus (Enceladus is the sixth-largest of the moons of Saturn, it was discovered in 1789 by William Herschel) on May 2, aiming primarily to learn more about the moon’s internal structure. The flyby is the third part of a trilogy of flybys, the other two took place on April 28, 2010, and November 30, 2010, for Cassini’s radio science experiment.